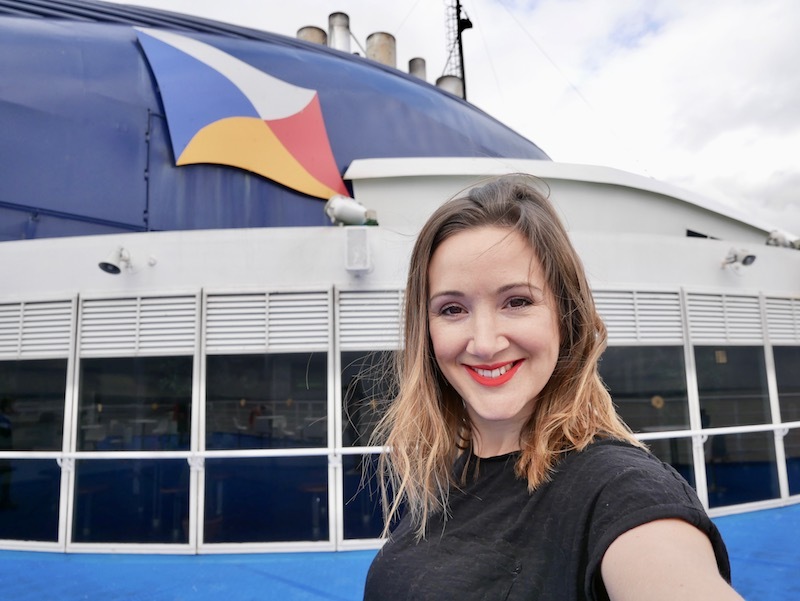 I took the ferry to Rotterdam with P&O Ferries from Hull and here’s what I thought about it with some travel tips for anyone planning to do the same. I love this fast paced world we live in. A world where you can fly to the other side in a day, where you can speak to anyone, anywhere at any time and where you can order your shopping to be delivered to your door within a couple of hours! While I love the convenience and speed of modern life, I also yearn for a time when life was slower and simpler. It’s a time I’ve only experienced through films, books and tales from grandparents who recall their youth, but there’s something so calming about the thought of having to do things slowly. I’m not the only one who feels like this. You’ve probably noticed a huge surge in popularity for ‘doing things slowly’. We’re seeing more people getting back to basics in all areas of their lives and living a slower, more thoughtful life. It’s funny how things go full circle. It was once normal to do things slowly and then it became a luxury to do them quickly. And then we realised quickly isn’t always best and it’s such a luxury to have the time to do them slowly again! This especially applies to travel and slow travel is such a luxury. If you have the time to travel slowly, it’s something I can’t recommend enough. Road trips with no itinerary, camping holidays with no plans and city breaks with no intentions other than to have fun. This is my favourite kind of holiday! This is exactly what I did when I took the ferry to Rotterdam with P&O Ferries and I loved how relaxing and stress-free the whole experience was but, most of all, I loved how slow it was! I took an overnight ferry which leaves Hull at 8.30pm. Boarding commences at 4pm for foot passengers and the last time you can board is 7pm. This makes it a really nice option for people who live locally as you don’t need to take any extra time off work. I’d taken the train from my home in Chester to Hull. From Hull train station I took a taxi to the ferry port. The taxi to Hull ferry port took about 20 minutes in busy traffic and cost £11. The ferry from Hull to Rotterdam takes 12 hours and your holiday begins the second you step on board. Boarding the ferry was quick and simple and within 15 minutes I was in my cosy little cabin. Ten minutes later and I was in the bar with a window seat and a glass of wine waiting to watch the ferry leave the dock! Travelling by ferry is a funny one because it’s exciting and exhilarating but also slow and relaxing. I was bursting with excitement as we left Hull and the horn blew to sound our departure, but my excitement didn’t quite match the pace we were travelling, you could barely even tell we were moving! After finding my bearings on the ferry (and then losing them a few times because ferries are very disorientating!) I made my way to the buffet for dinner. 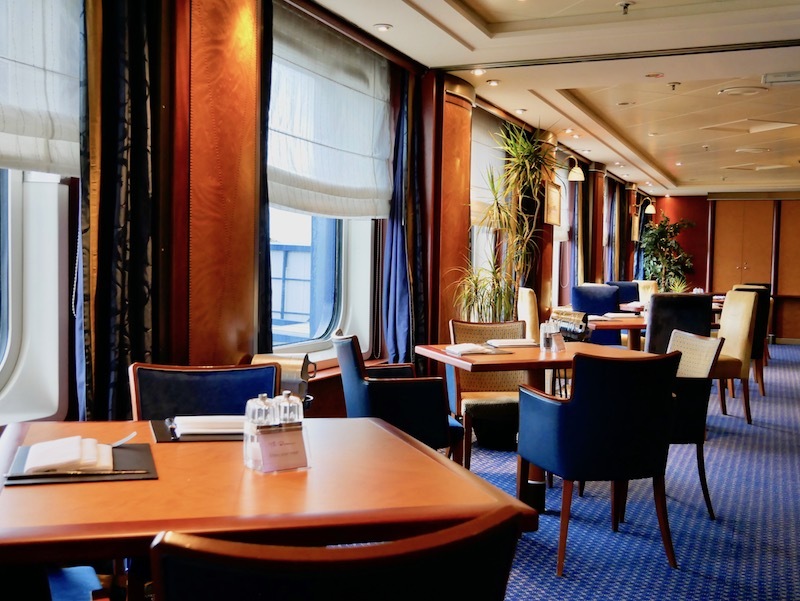 Now I know I shouldn’t be so surprised about this but dinner on board was delicious! 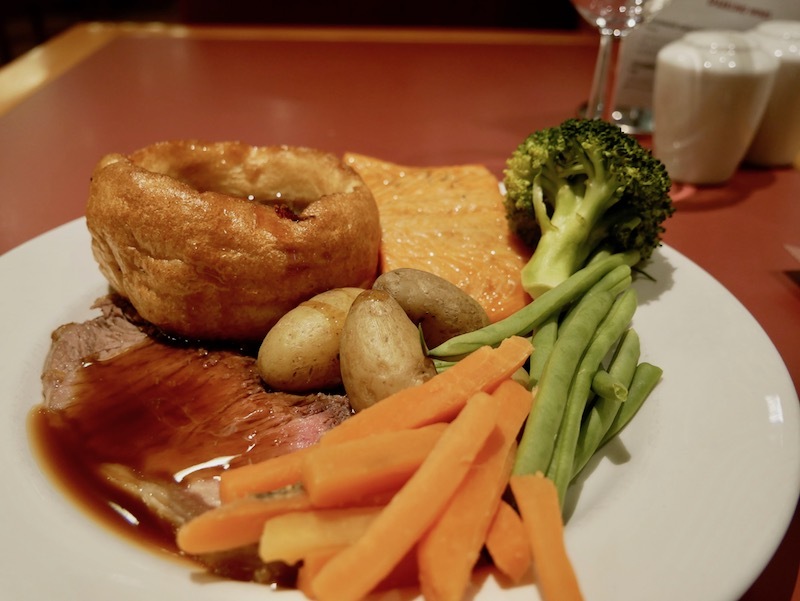 There was a carvery with beef and ham, Yorkshire puds and all the trimmings, or you could have a choice of three curries or a chilli. There was also a hot food buffet with salmon and ribs and a salad section and a brilliant desert section too. I then headed to Starbucks for a pre-bedtime cuppa and before long the motion of the ferry was sending me to sleep. 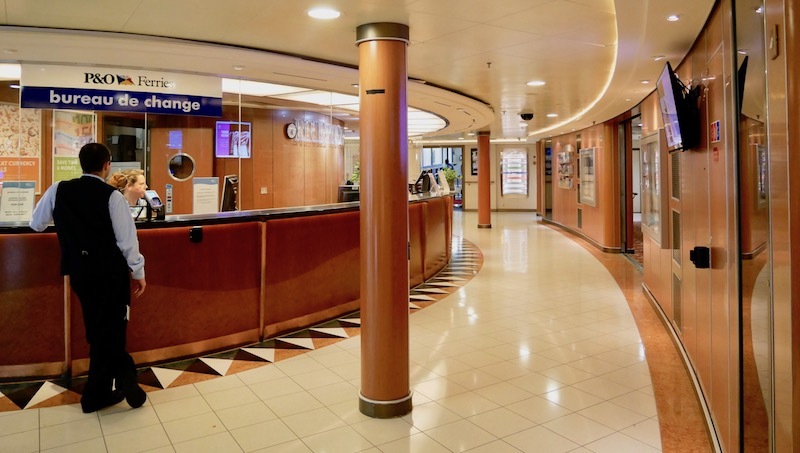 There are lots of amenities and entertainment on the ferry with a few shops similar to the Duty Free shops you’d find at the airport. 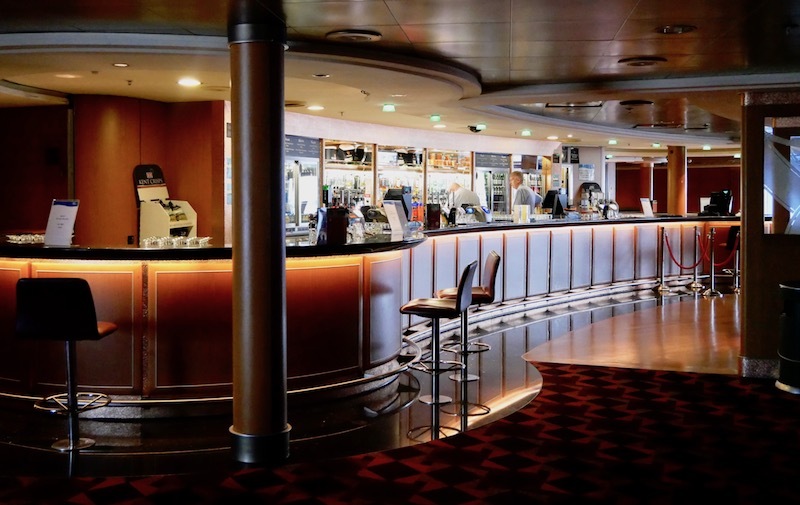 There are casinos, bars, an al a carte Brassiere restaurant, an all you can eat buffet, a café serving Starbucks coffee, live music, cabaret, a kid’s play area and there are even two cinemas showing 3 different films throughout the evening for just £4.00. 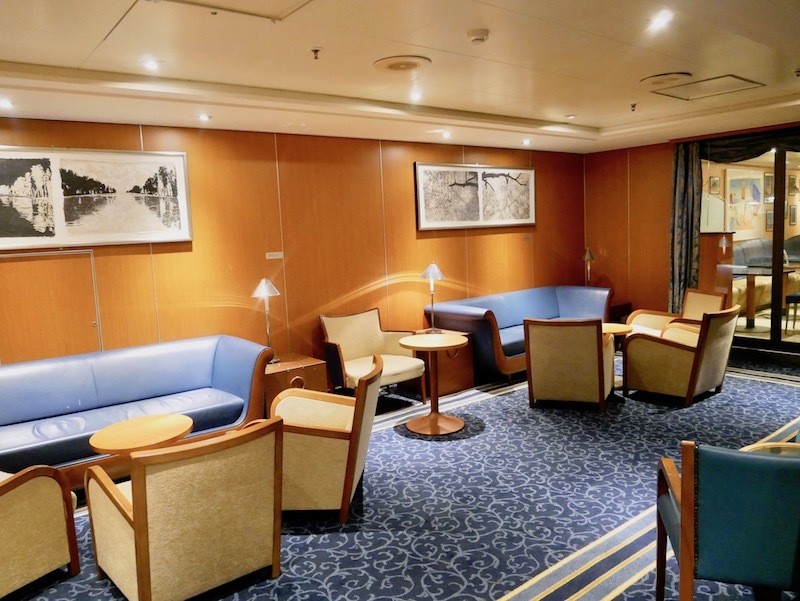 You definitely won’t be bored on the ship but, if you’re anything like me, you’ll use your travel time as a great chance to catch up on much-needed sleep! 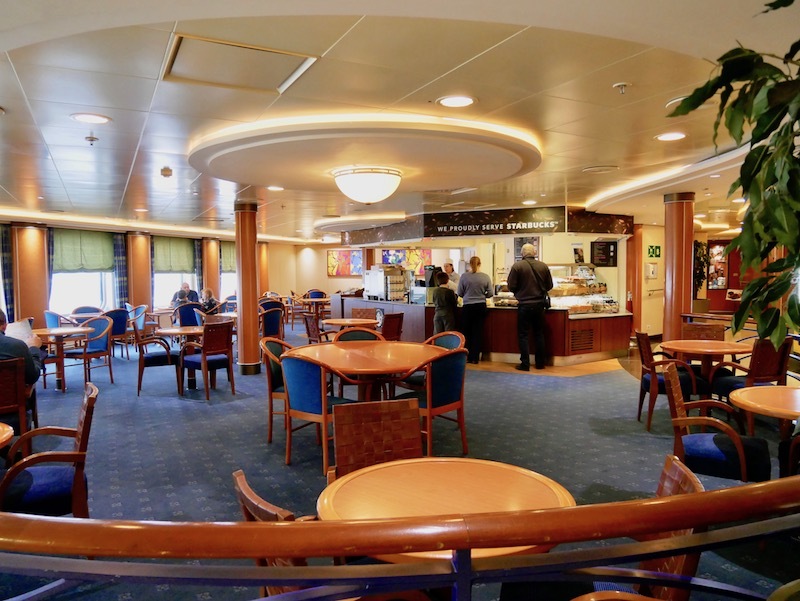 Here’s a look around the ferry…. I woke up to the sound of the captain’s voice over the tanoy at about 7.00am (local time) announcing our arrival into Rotterdam. We were arriving in 90 minutes so I packed up my things and headed to the breakfast buffet. Breakfast was, once again, delicious with a full English available as well as cheeses and bread, fruit, yoghurt, pastries and sweet treats like pancakes. 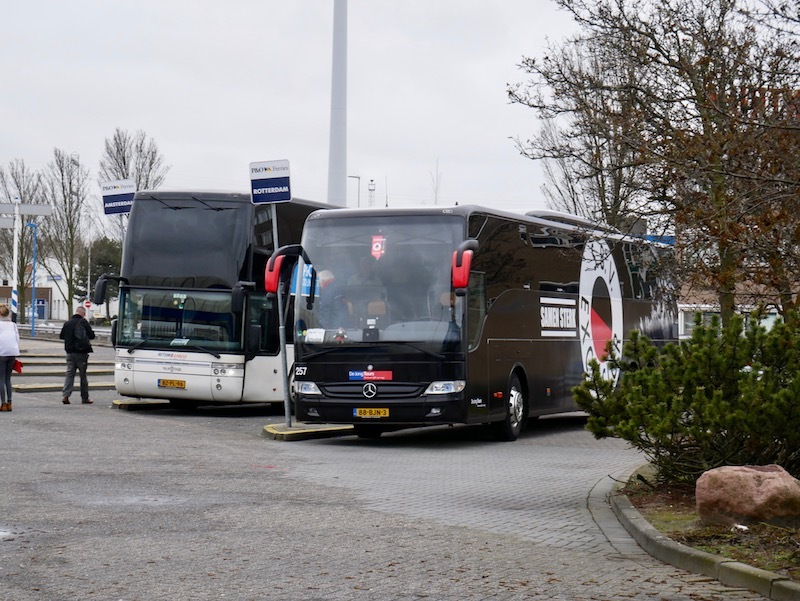 Leaving the ferry was just as easy as getting on; there was a 2-3 minute wait at passport control and two coaches were waiting outside to whisk us off to either Amsterdam or Rotterdam. I’d chosen to stay in Rotterdam rather than travel slightly further to the more famous city of Amsterdam. I love Amsterdam but I wanted to see somewhere new and I’d heard Rotterdam had a really cool and creative vibe that I was excited to explore. The bus ticket cost €9.25 for one way and I bought a ticket from inside the ferry port but you can also buy them when you’re on-board the ferry or pre-book them when you buy your ferry ticket. It was a short drive to Rotterdam Central Station and from there I walked to my hotel, nhow. I quickly dropped off my bags before heading back out to explore. We had docked at about 8.30am and I was on the bus by about 9 and in Rotterdam City Centre by 9.30am. Then by 10.30am I’d been to my hotel and was back out again! It was so nice to be in the city and ready to explore so early. Even very early flights rarely allow you to get to your hotel, drop off your stuff and be back out by 10.30am – and if they did, you’d barely sleep the night before and would be too exhausted to do anything! My return journey was just as smooth and simple as my departure. Once again, I took the coach transfer from Rotterdam Central Station at 5pm which took me straight to the ferry. I was travelling on a Friday night this time so it was a bit busier with Dutch people travelling to the UK for the weekend. 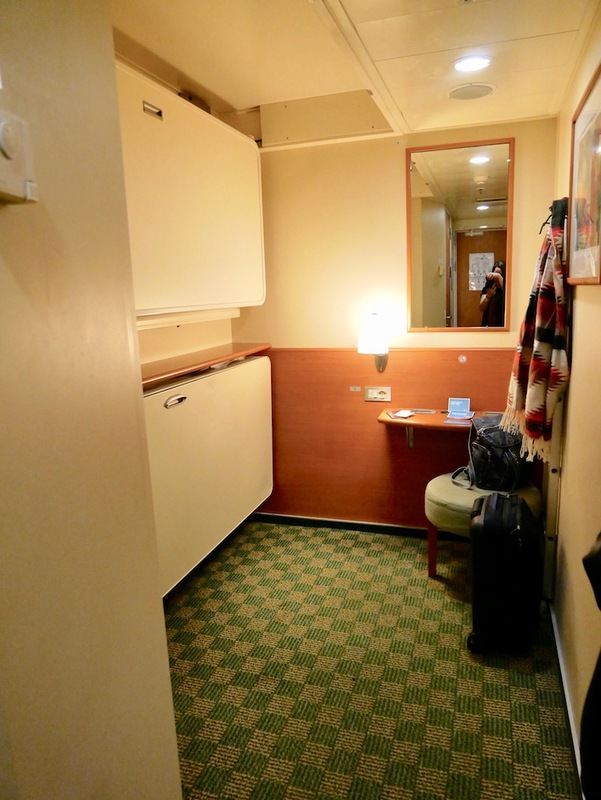 I chose to upgrade my room this time and paid £20 for a cabin with a window and twin beds rather than bunks. One of the beds folded up which gave me a bit more space and it generally felt a bit more luxurious. I was also given the option of paying £50 for a double bed and a mini bar with all drinks and snacks included. When I arrived in Hull the following morning there was a bus waiting at the ferry port to take passengers into the city centre. It cost me £2.30 to get the bus to the train station where I caught the train to Manchester. If budget allows I’d recommend splashing out and getting a cabin with a window. 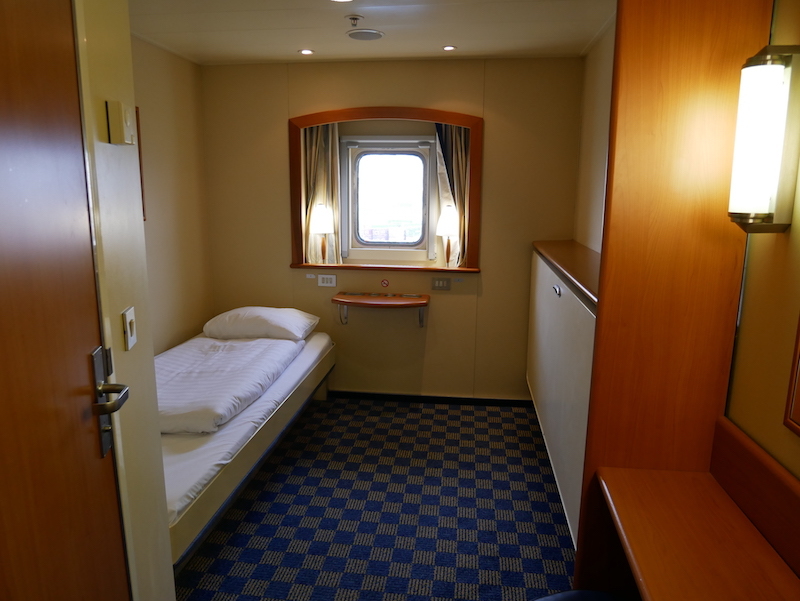 The interior cabins are nice and they’re really cosy but it’s extra special to wake up with a sea view. There’s a shuttle transfer from Rotterdam ferry port into either Rotterdam City Centre or Amsterdam City Centre. It’s a quick, easy and affordable service so I highly recommend it. You can book tickets for this when you book your ferry ticket. Be aware that you might not get phone signal in your cabin. It’s not a big deal but if you’re relying on your phone to tell you the correct time then it might confuse you. I’m used to my phone automatically adjusting to time zones but it obviously doesn’t do this when it has no signal so it’s something to keep in mind when you’re setting your alarm before bed! You can purchase wifi onboard for £3.00. I found that my 4G worked on my phone for more than an hour after departure so I was fine using that. 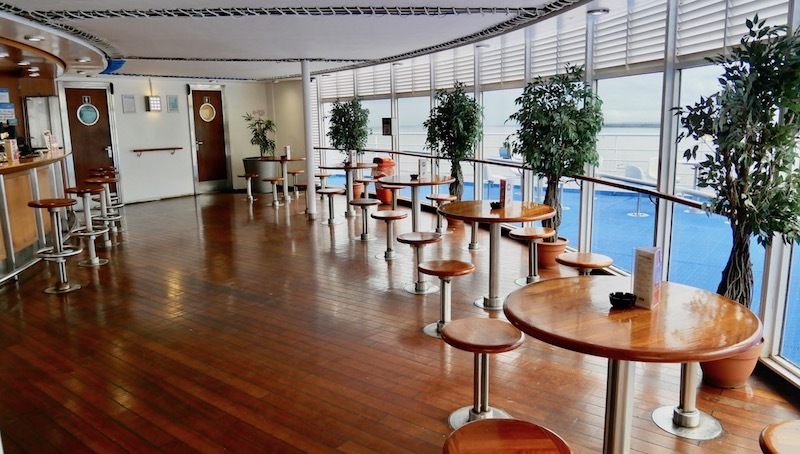 There is an outside deck where you can get some fresh air, enjoy the views or have a cigarette if you’re a smoker. Why would you take the ferry to Holland? 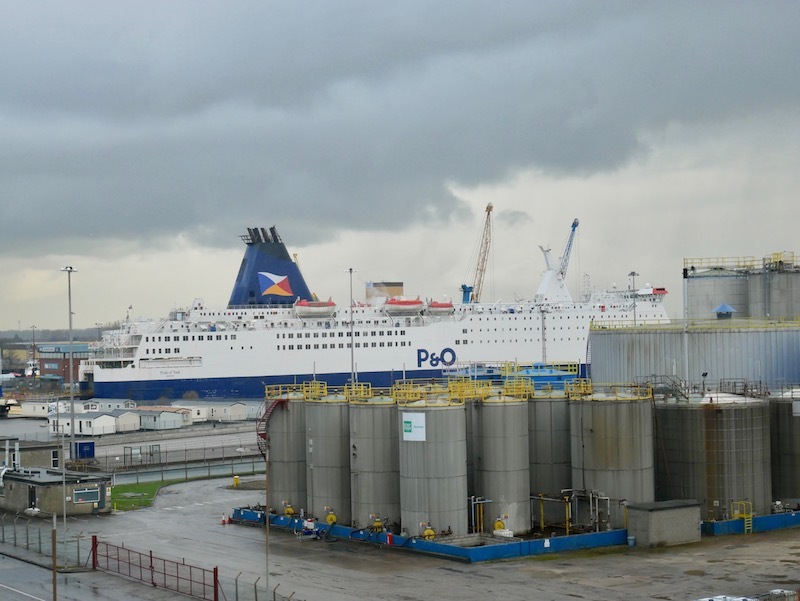 The main reason most people will take the ferry to Holland is because they have a vehicle with them and this is a simple, hassle-free option to get your vehicle abroad. If you’re not a fan of flying then taking the ferry to Holland is a great option to avoid the stress and anxiety that may come with flying. Just because you don’t want to get on a plane doesn’t mean you can’t go abroad! Because you travel overnight to Rotterdam you don’t ‘waste’ time flying or at the airport. I know it takes longer but you technically ‘waste’ less time because you spend the majority of your time on the ferry sleeping! You arrive in Rotterdam first thing in the morning and you need to be back on the ferry at 5pm. This gives you much longer in the destination then you would get if you flew avoids super early mornings and super late nights. Like I mentioned above, this overnight ferry service to Holland avoids early mornings and late night travel so it’s great if you’re travelling with kids. There were loads of children on my ferry because it was the Easter holidays and they were all having a great time and were so excited. 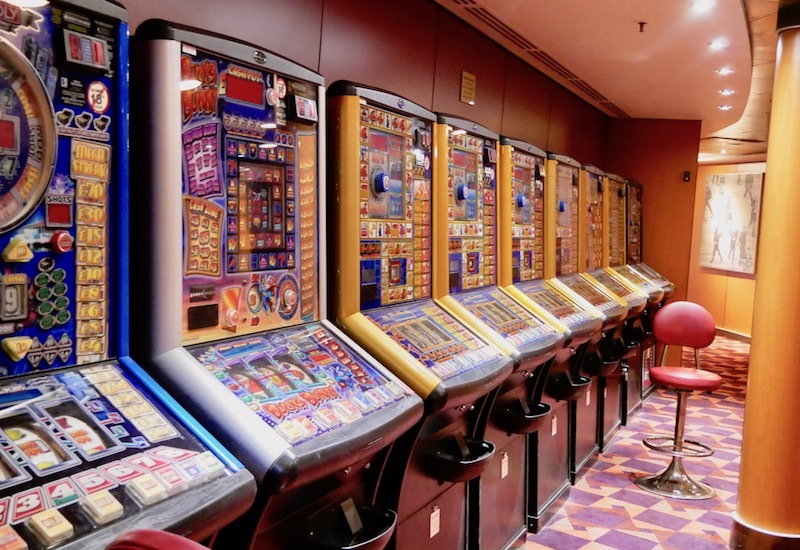 The evening entertainment has a family-friendly vibe and family rooms are available. You can take cats, dogs and small animals on board with you! Cats and dogs must go in the kennels which are air-conditioned and animals are checked on every two hours. You can also go and see your pet to make sure they’re OK! 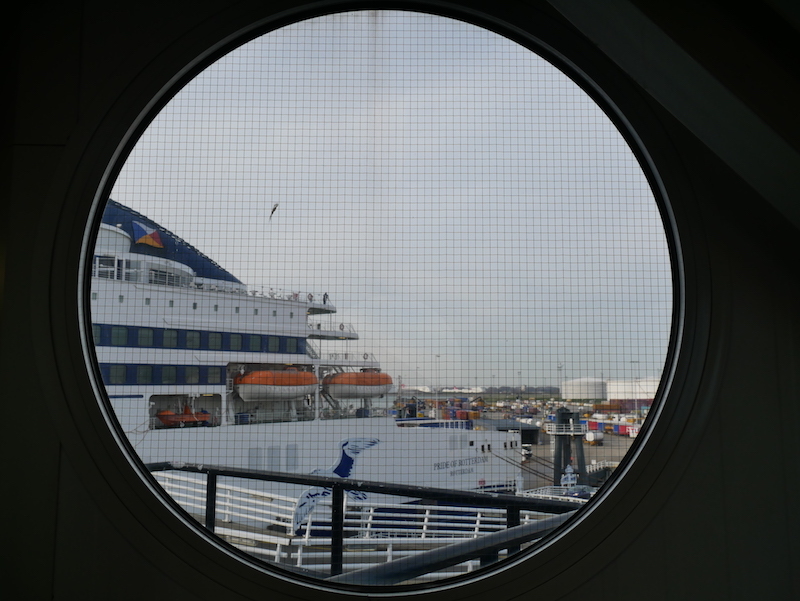 If, like me, you enjoy this slow pace of travel then you’ll love getting the ferry to Holland. It was absolutely stress free and I loved arriving feeling well rested and ready to explore. The ferry is a particularly great option for anyone who lives locally to Hull. It’s a hassle-free option if you’ve only got a short trip to the ferry port. 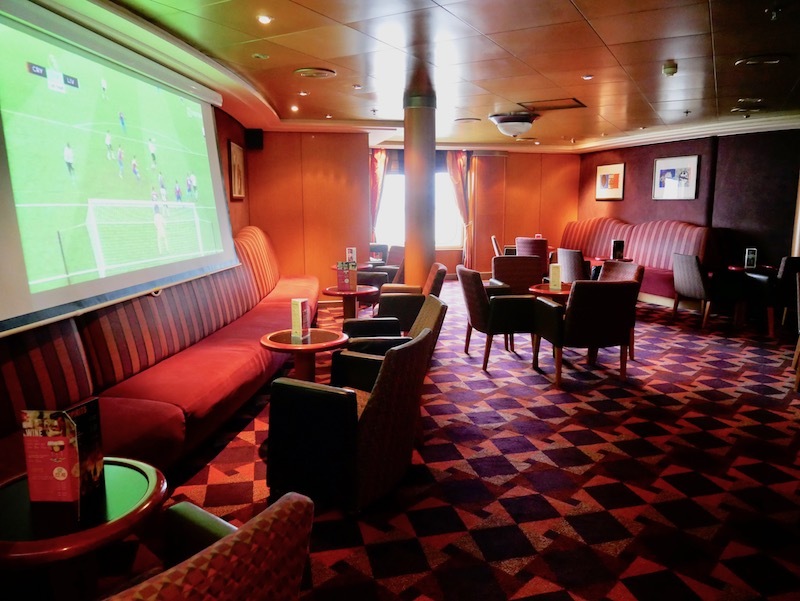 Disclaimer: This trip was a collaboration with P&O Ferries. Stay tuned because I’ll be sharing my favourite spots from Rotterdam soon! Hi Monica. 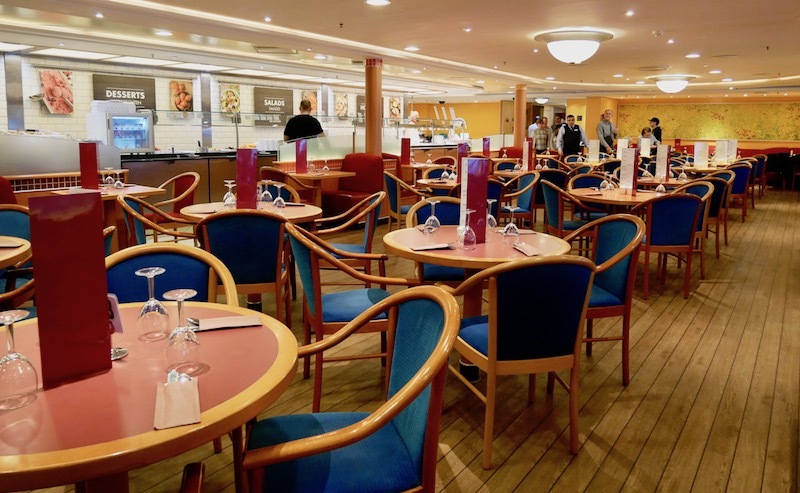 We have travelled with P&O a few times on the Hull Rotterdam service with our 2 young boys, and really enjoyed it! However the last few times we have travelled, we have been woken up in the early hours of the morning (around bar closing time!) by groups of people shouting and swearing outside our cabin. This has spoiled it a bit as our boys were scared, and we were all tired the next day. Did you experience any noise when you did your trip? Looking forward to hearing about favourite Rotterdam spots, as we’ve not been there yet!! I didn’t hear a sound in my cabin. On my journey out there the ferry was very quiet and on my return I was quite a long way away from the bars. That’s interesting to hear though. 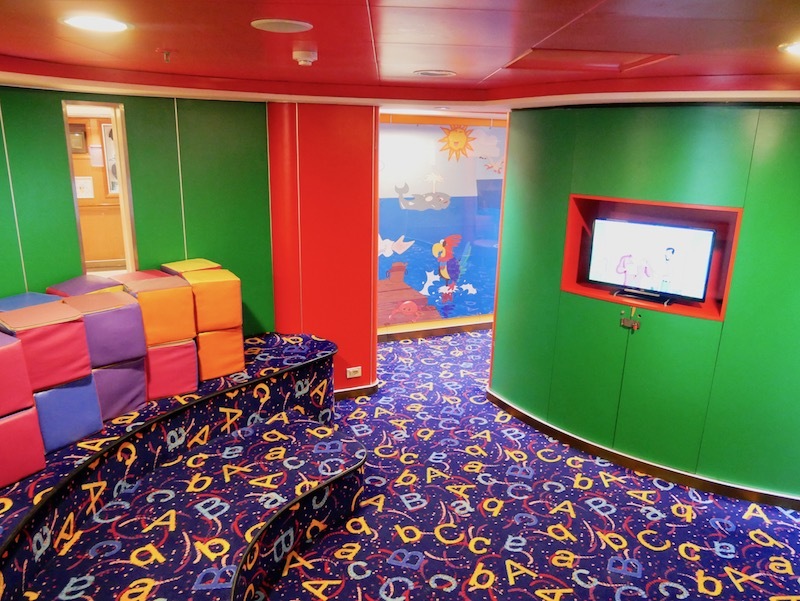 For anyone doing the journey with children it might be worth asking to switch cabins away from the central stair area because that’s such a shame it disrupted the journey for you all. I loved Rotterdam, such an underrated city! That’s good to hear! We were probably just unlucky when we travelled, but it definitely wouldn’t put us off going on the ferry from Hull to Rotterdam again. It is such an easy way to travel and so convenient to be able to take car with everything packed in. Can’t believe we have missed Rotterdam so far though – looking forward to hearing all about your trip!! Oooh, sounds like such a fun trip! I remember seeing all these sales for DFDS and P&O years ago and was always tempted, but never got round to doing it! Cool to read a write-up on it. 🙂 I might have to get it back on the list! Ahh this looks like such a cool trip!